Active Mathematics ships with a floppy disk. This floppy includes a batch file which should automatically unlock the program. Sadly the batch file does not work properly in Windows Vista or Windows 7. 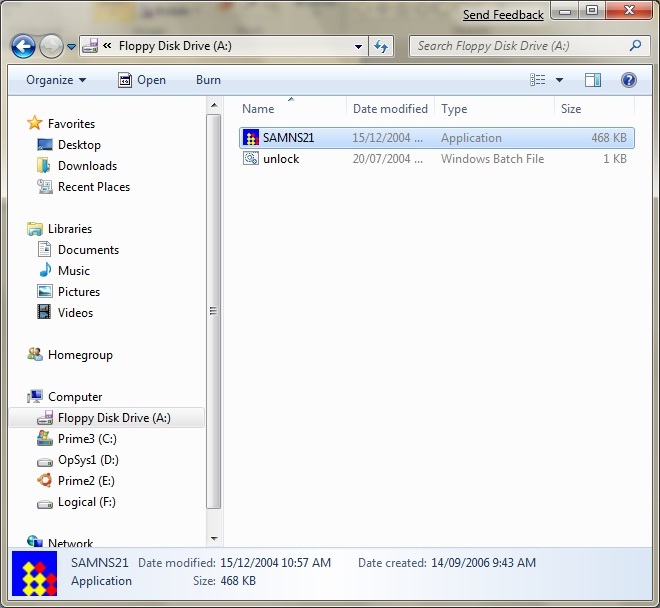 You therefore have to copy the SAMNS21.exe file from the floppy to the program folder on the hard drive. This should be C:\Program Files\Active Math Client 2001, unless you changed it to something else during installation. 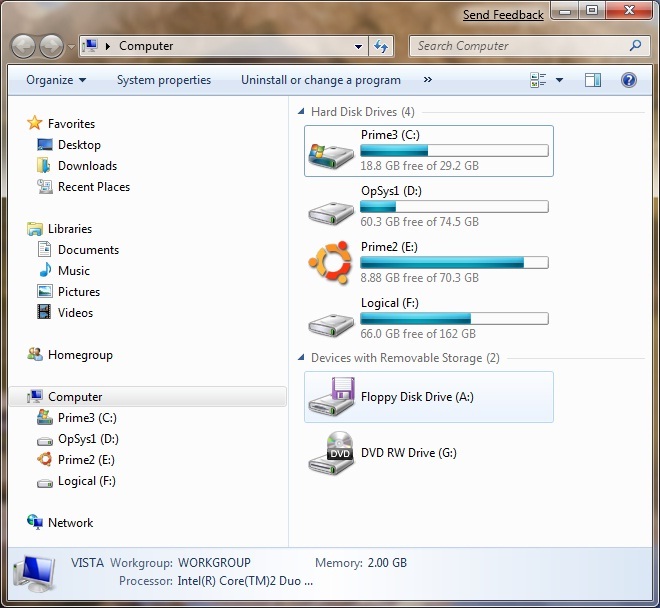 In Windows 7 if you open Computer from the Start menu a window a bit like the one below will open. Notice how the floppy drive is listed in the lower part of the Window with removable storage devices. Double click on the floppy drive to view the contents as shown below. 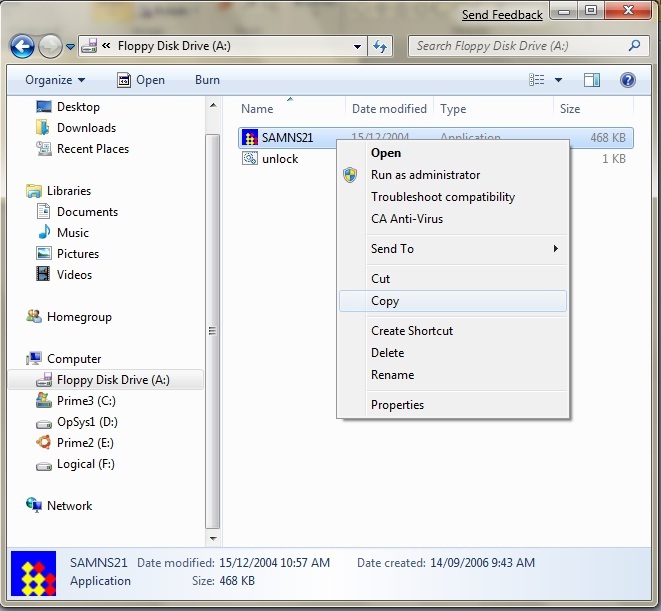 Right click the SAMNS21 file and select Copy from the context menu, as shown below. 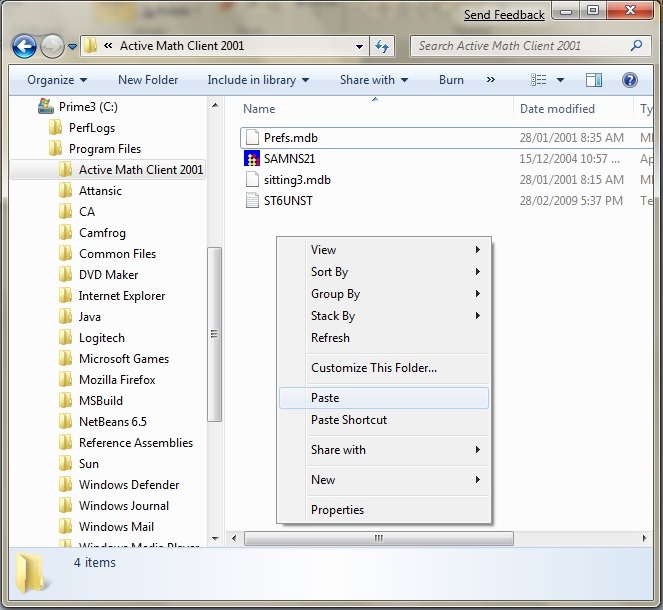 Navigate to the installation folder C:\Program Files\Active Math Client 2001, right click on empty space in the folder and select Paste from the context menu, as shown below. Select Copy and replace to replace the executable from the CD with the one from the floppy disc. In the screen shot below you may notice the two files are identical. That is because I made the screen shots after I had already completed this process once. When you do it, the file from the CD should be a little older than the one from the floppy. But in any case, the file from the floppy is the one you want to use. 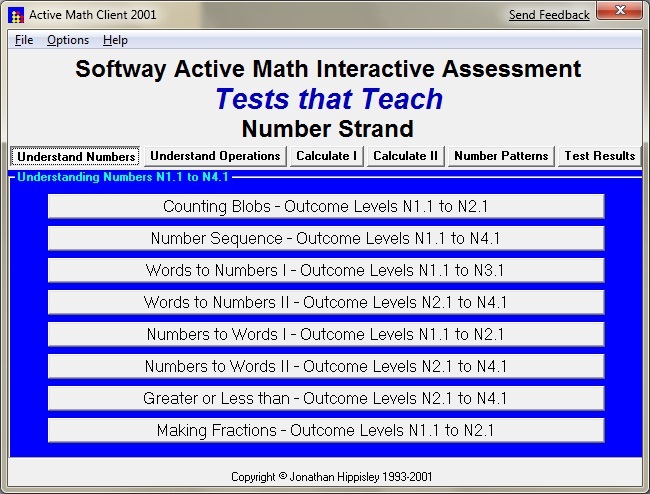 After that, you simply select Active Math Client 2001 from the start menu to run the program. Helping Children to achieve their Potential.